In case you weren't aware, it's Friday baby! And better yet, I'm doing my first pumpkin-related post of the fall. Can it get any better than this? I've got two brides this fall that are both using pumpkins as part of their decor. 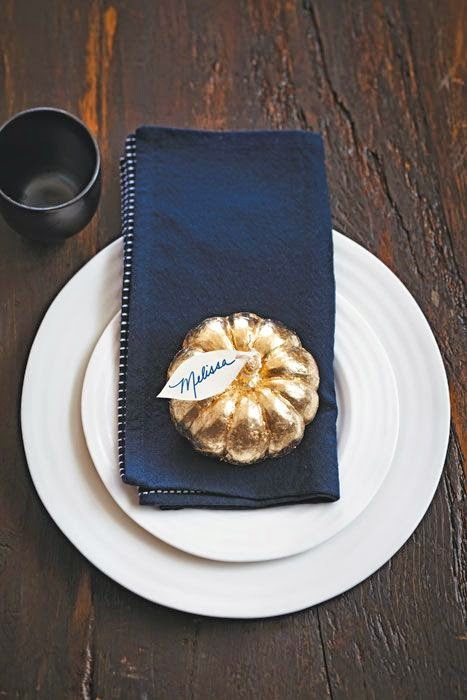 (Think white pumpkins as aisle decor and metallic pumpkins for table centerpieces.) As an American woman, I love all things pumpkin - it's sort of comes with the territory. Pumpkin Spice Latte - check. Pumpkin flavored food - check. 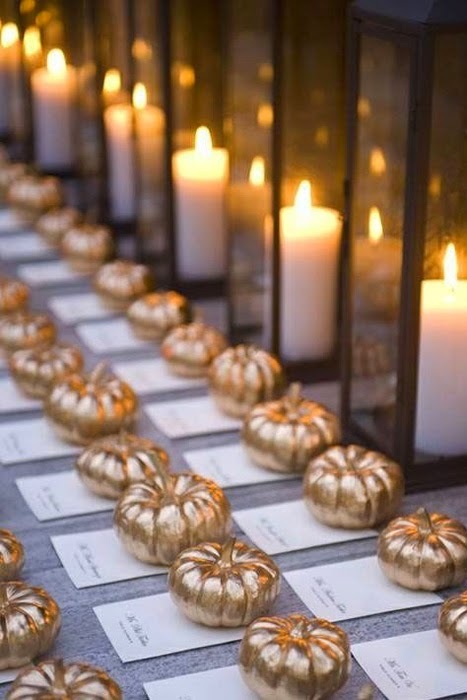 Pumpkin party decor - double check. 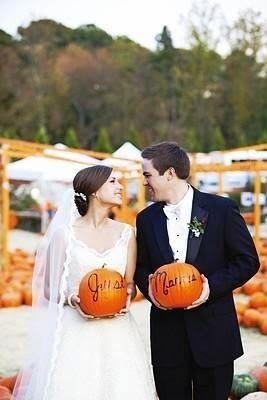 Let's celebrate the season by looking through fabulous pumpkin-inspired party and wedding decor. Ohhh Martha Stewart you evil genius. I'm sure she was the first to do the pumpkin cooler idea, and of course she's smart enough to put a bowl inside the pumpkin to soak up all the condensation. I'm OBSESSED with this idea. 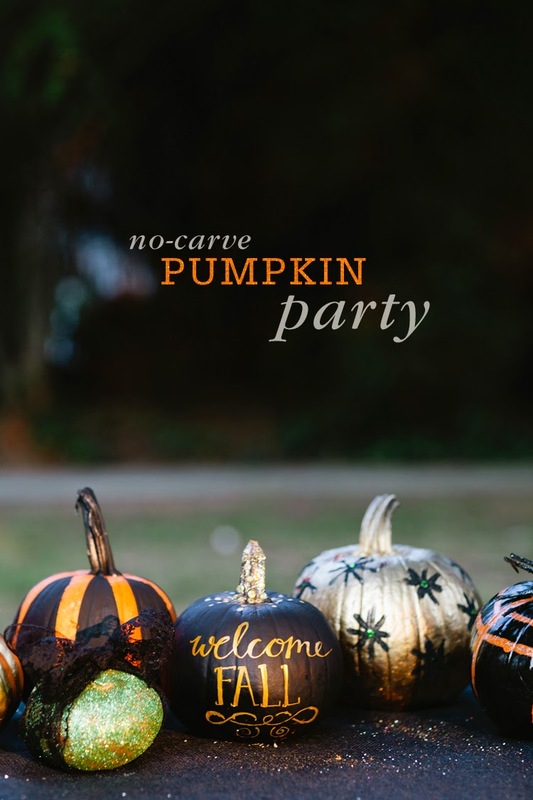 A no carve pumpkin party makes perfect sense because really, carving pumpkins makes a big ole mess plus its hard to do with a glass of wine in your hand. I can spray paint or throw on some glitter with one hand no problem. A great idea for a girls night in! Speaking of glitter.... This is gorge. Love the polka dots! Hello lovely...this half dipped golden placecard is gorgeous. Plus it's a party favor. 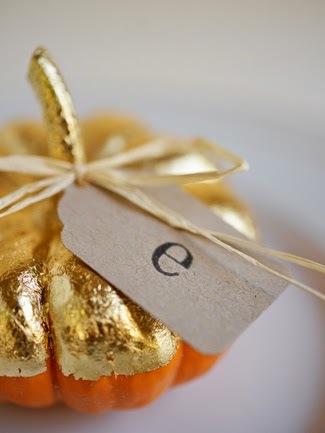 Here are some other golden pumpkin place cards. This is how to make pumpkins more "elegant" and less "hayride." 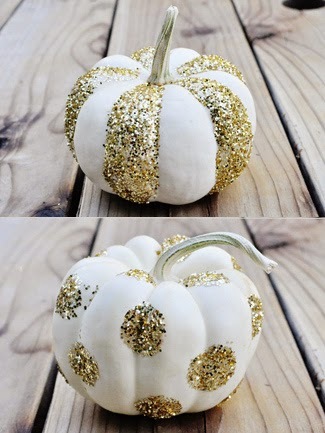 White pumpkins are my fave. Who knew a pumpkin could be so classy? 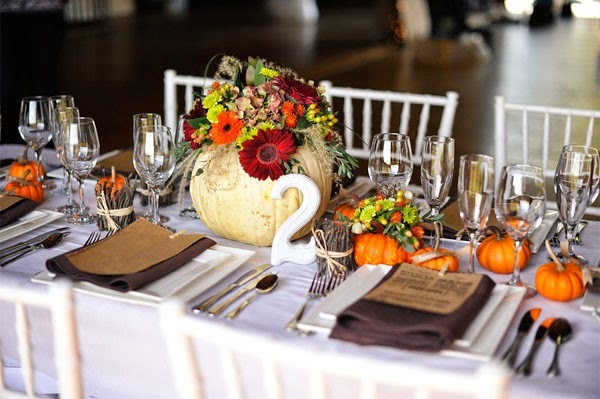 I adore this fall tablescape and pumpkin used as a vase. 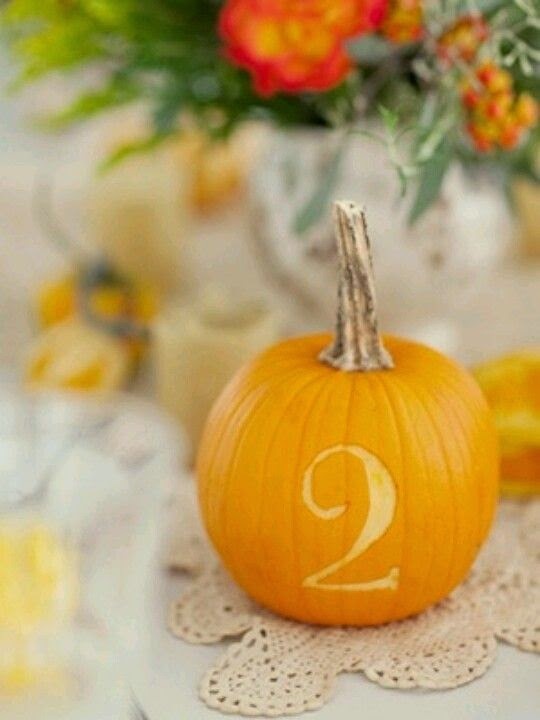 I also love this carved pumpkin table number. How clever! I hope you enjoyed this pumpkin blog here on Jackie Fo on what I'm sure will be the first of many! Happy pumpkin-ing! Now I want to go buy a ton of pumpkins and start spray painting! 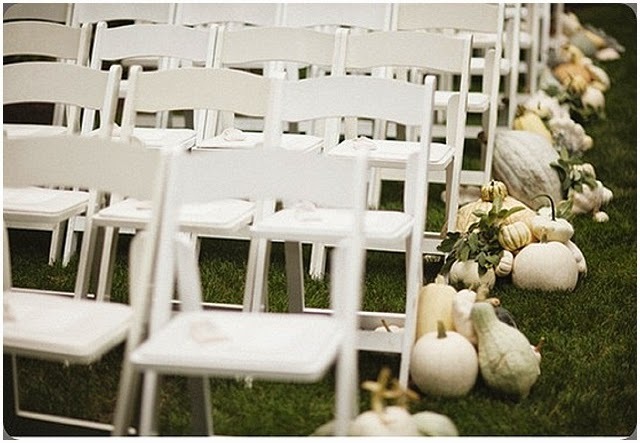 can't wait to see how you incorporate them in your wedding decor.